Parents of 3,000 preschoolers scramble to make plans as workers at 57 public early childhood education centres hit the picketline this morning in an unlimited strike. More than 1,300 workers at dozens of public daycares in Montreal and Laval launched an unlimited strike this morning. The strike, which will affect 57 early childhood education centres (CPEs), will leave the parents of about 3,000 children looking for alternative child care. The workers have been without a collective agreement since March 2015, and they have held multiple, one-day strikes over the past several months. 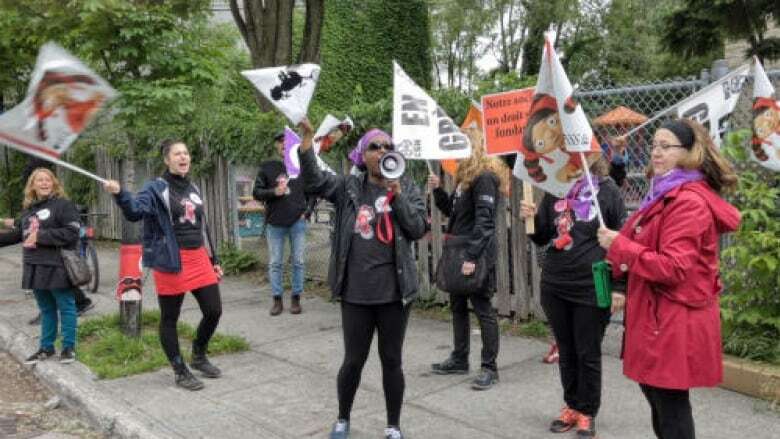 Employees demonstrated outside a daycare on Jean-Talon Street in the Villeray neighbourhood Wednesday morning, waving signs and picketing. Jeanne Bouteaud, whose two-year-old attends one of the affected daycares, told CBC Daybreak that she and her husband are doing their best to come up with an alternative for their son. "He's going to be spending the morning with a friend of ours who is coming over to keep him entertained and take him out," she explained. "That's the plan for pretty much the next few days but we can't go on like that for very long." She said she hopes things will be resolved soon and that the strike action won't drag on beyond a few days. "We don't really have a plan for next week to be honest," said Bouteaud. In mid-May, the union voted in favour of a mandate for an unlimited strike. Nathalie Fontaine, a negotiator with the CSN-affiliated union, told La Presse Canadienne that both sides "remain very far from an agreement on the major issues." The workers' main concerns relate to scheduling, seniority and working conditions. Fontaine said the strike will go ahead, even if negotiations between the workers and their employers continue. "We are far from postponing the strike. In any case, we've said it from the beginning: as long as there isn't an agreement in principle that satisfies our workers, the strike will go ahead June 6," she said Tuesday. 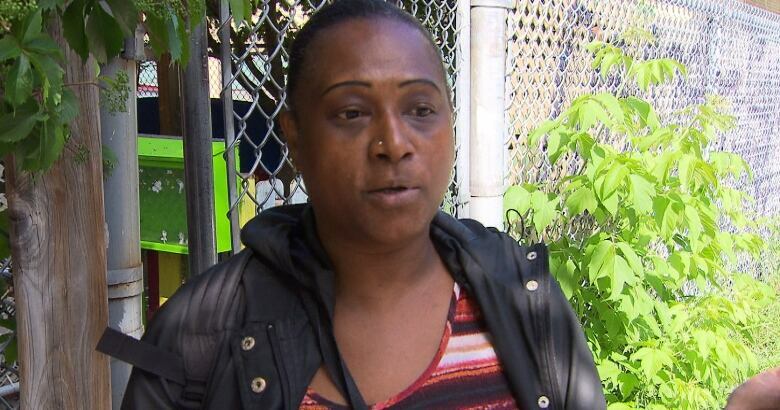 Chantal Bellavance, a spokesperson for the Association Patronale nationale des CPE, which represents the daycare employers, said they want the flexibility to send some casual workers home in exceptional circumstances. Talks are continuing, and the employers group made a new offer Monday, Bellavance said. On Tuesday, she asked the union to call off the strike. "Thousands of parents won't have any service," she said. "The workers won't have any salary, and the daycares won't have any [subsidies]." It's a no-win situation, she said. Naomi Romain, an educator at Garderie Idée Fixe, a CPE in Montreal's Ville-Marie borough, is also a parent with a daughter at the daycare. "We tried everything to not have to get here. We don't want to take parents hostage," Romain told Radio-Canada Tuesday. "But we had no choice." There are 993 CPEs across Quebec. After workers at some 400 CPEs held a provincewide walkout last October, the federation representing about 11,000 workers reached a deal with Quebec's Family Ministry at the central bargaining table. The Association Patronale nationale des CPE was not part of the central bargaining process, however.